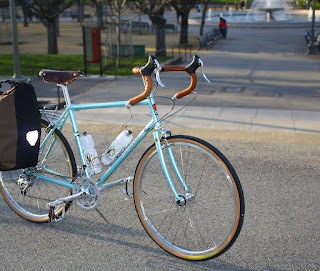 Pretty sweet build by Mark over at Bike Hugger. Using the excellent Hozan C-700 tool. An item no shop should be without. Urban has a little write up on the Wald 257GB rack we showed you a while back. They are in stock now, so ask your LBS to order one up for you if you want one. Spotted in the lobby at Soma HQ. 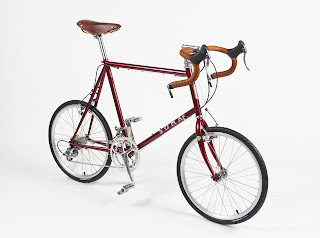 Peep the Soma Classic Curve fork and New Xpress tires! Full build specs for interested parties as follows. Baskets: Wald 15" + 18"
If you're into this sort of thing you probably know that were big fans of the 650b wheel size over here at Soma. 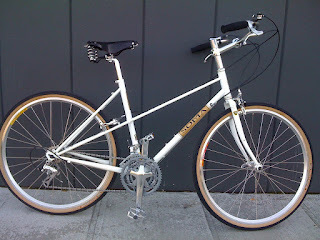 After all we came out with the B-side, our 650b hard tail mountain bike frame way back in 2009. You might not know that many of our other frames work great with 650b wheels. 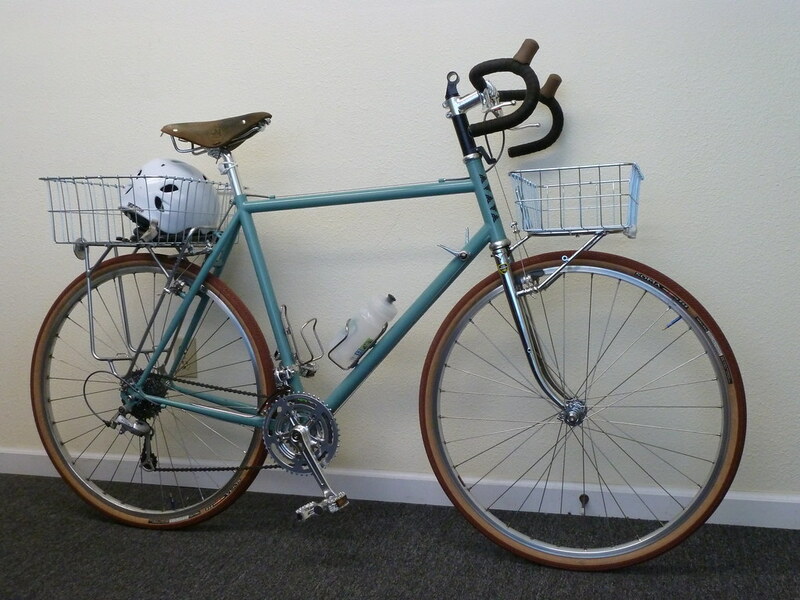 Our lugged road frame the Stanyan will swallow 650Bx38mm tires with room for fenders. Back when it was still called the speedster Ed 650Bradly over at bikeman.com built one up with 650Bs. even thoguh it was from all the way back in 2007 I still love to look at this build. So nice. 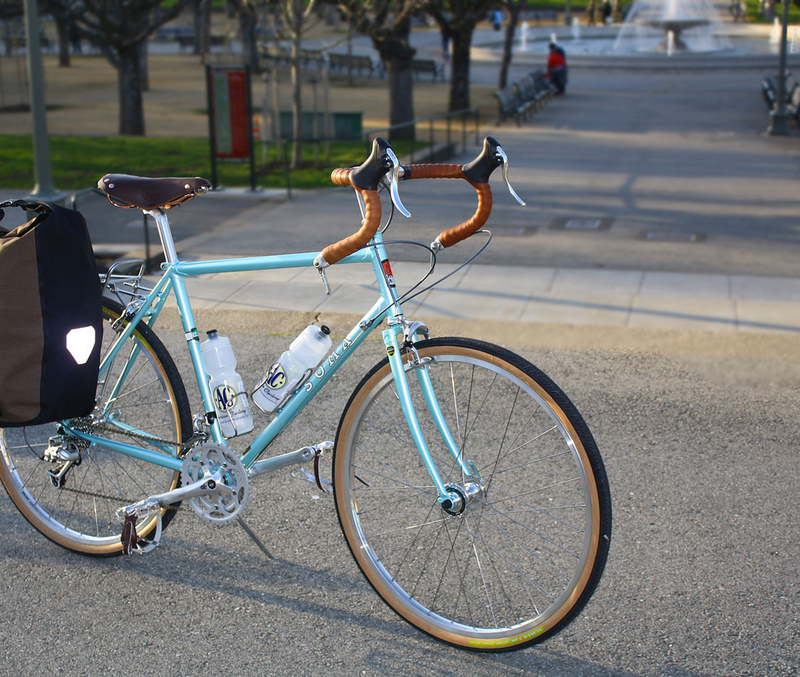 You can fit 650b wheels on every size of the Buena Vista mixte. 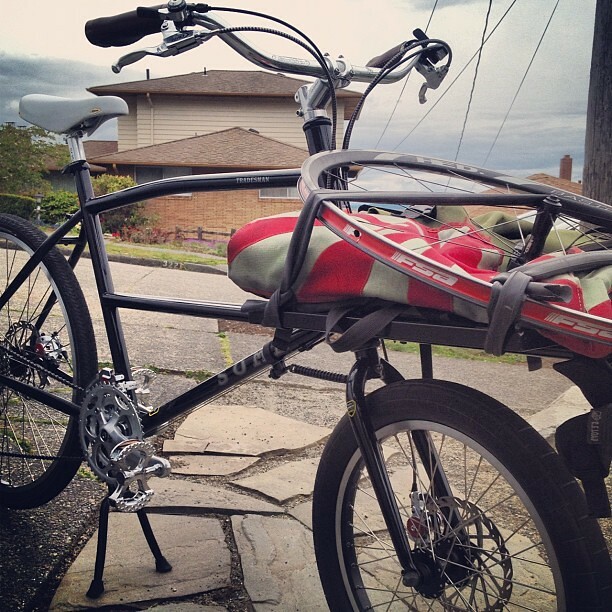 Here's on built up by the intrepid 650bers at FreeRange Cycles in Seattle. People have also sucessufly converted the Doublecross DC and the ES to 650b. And of course the smaller sizes of the San Marco are build specifically for 650b wheels. These tire are great for when you want a little more cush on your ride, but you're not necessarily going offroading. There are a number of great 650b options on the market now, in including the Soma New Xpress and B-Line (soon to be available in Terracotta), and the Parimoto from Pacenti. They can be found here http://store.somafab.com/tires1.html or at your local bike shop. To anybody looking for Soma in the Great White North, we hear you! 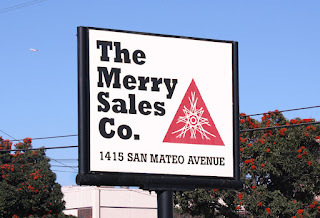 Here's a few shops that carry our stuff. 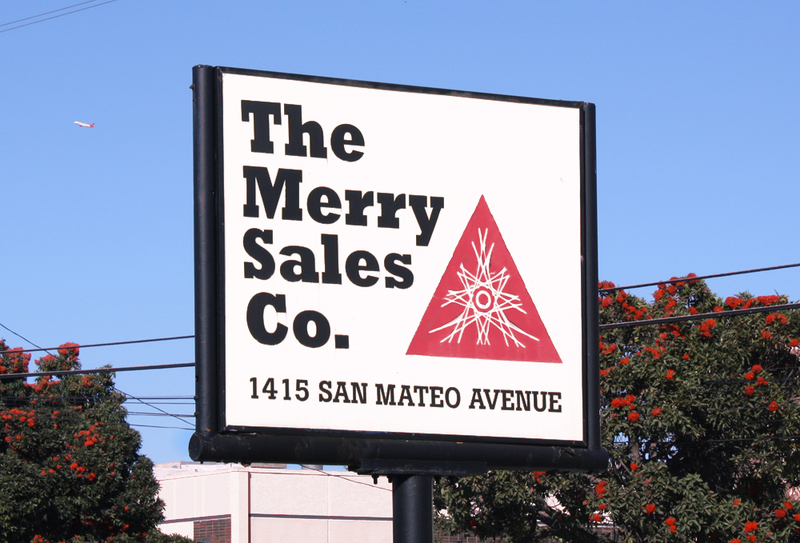 If you're a shop in Canada and you want to carry Soma Fabrications contact Merry Sales and fill out a dealer application. We got a couple boxes of new Newbaum's tape. The new colors are Celeste and Dark Blue. These are colors that people have been asking for for a while and Newbaum's came through with the goods. They look real nice. 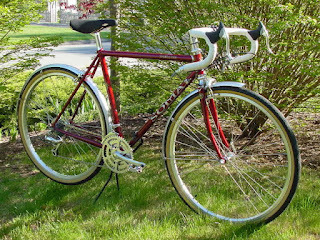 Do you have fond memories of your old 10 speed with stem shifters. 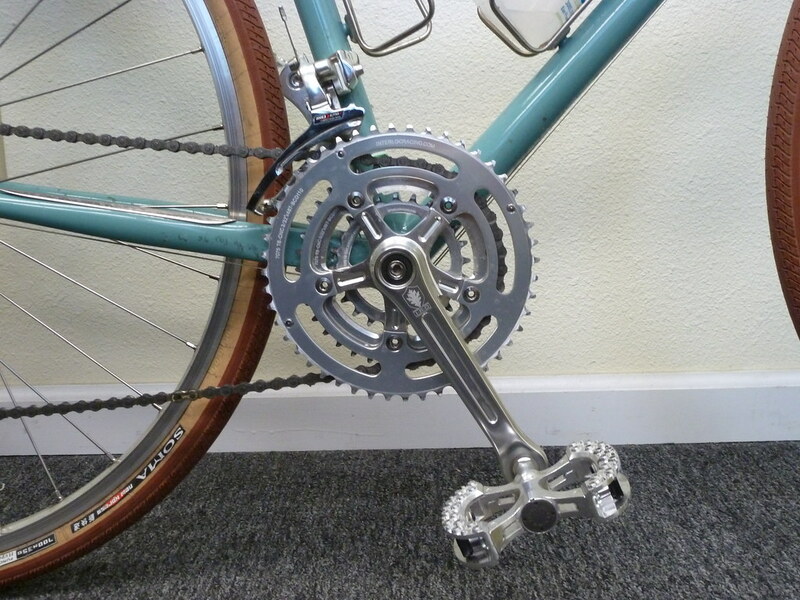 These are not those shifters. These shifters are the same quality shift levers as the IRD Power Rachet levers. 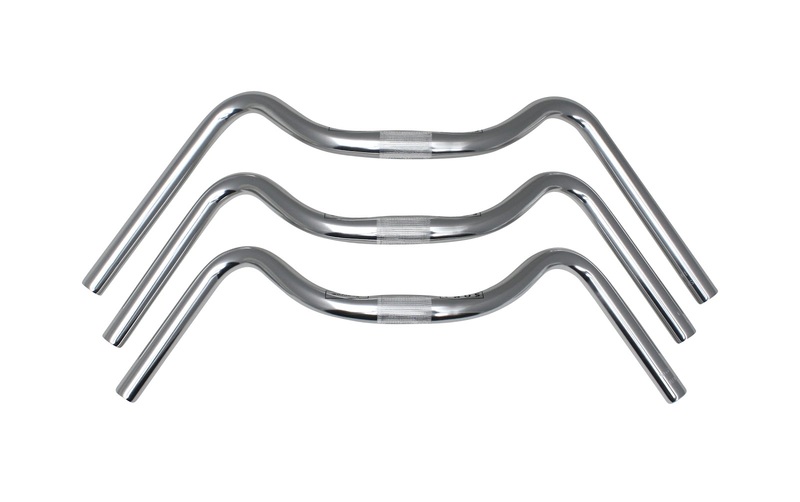 Fantastic smooth, low resistance shifting up where you can reach it easily but not in the way if you're bars are getting crowded. Plus it doesn't hurt that they look great. Check it out! Hinged clamp for easy removal and adjustment. Fits 1" quill stems. 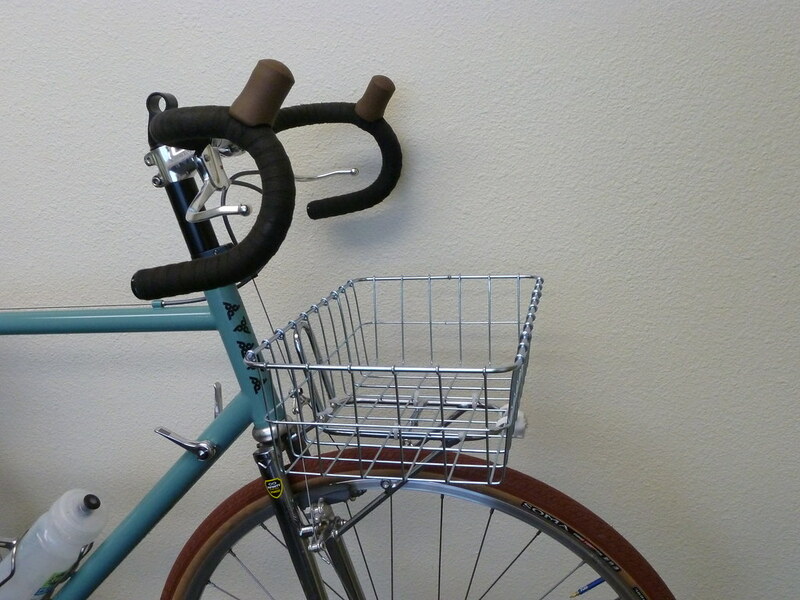 Upright bars are great. 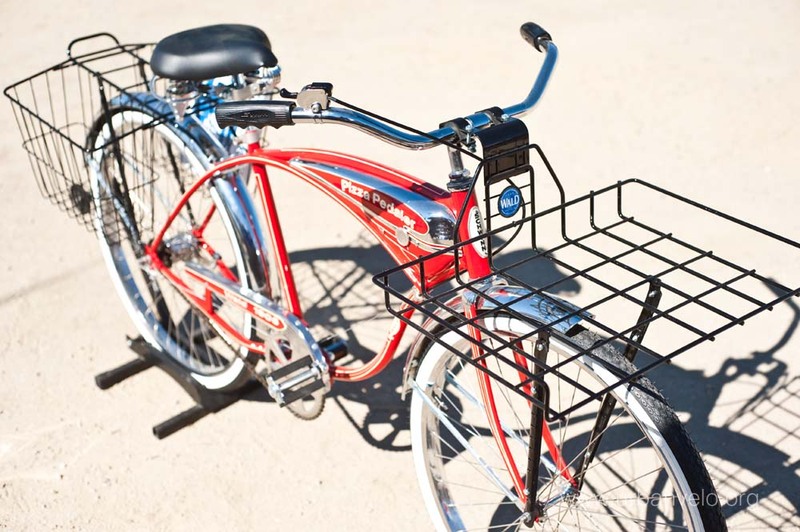 It's such an easy solution for so many people who's bikes either don't fit correctly or are too aggressively positioned for the kind of riding they do. And it's relatively easy to find a setup that works given the range of options that are available today. For mountain bikes it's easiest if you pick bars that you can use with the existing brake levers and shifter, although that's not to say you have to. 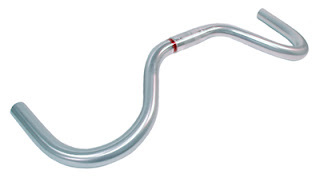 The original moustache bar was made for a mountain bike after all. By Far and away the most popular is the Soma Oxford. It's based on a classic design and offer a generous back sweep and an a small amount of rise. I think they feel best in the riser position with the ends tilted down slightly. Some people prefer to slip them over for a slightly more aggressive, weight forward position. You can use them with revers levers or bar-cons down the road. 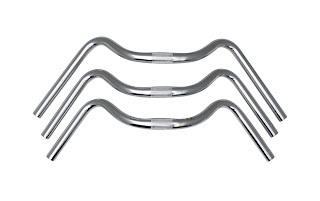 In the same vein the Sycip Wonder Bar and the Nitto Albatross offer similar positioning. The Soma Moustache II and Lauterwasser bars are more forward reaching options if you want to have more hand positions but don't necessarily want to be more upright. If you more or less like your weight distribution but you need a more ergonomic hand position the sparrow and the Clarence bars are good options. 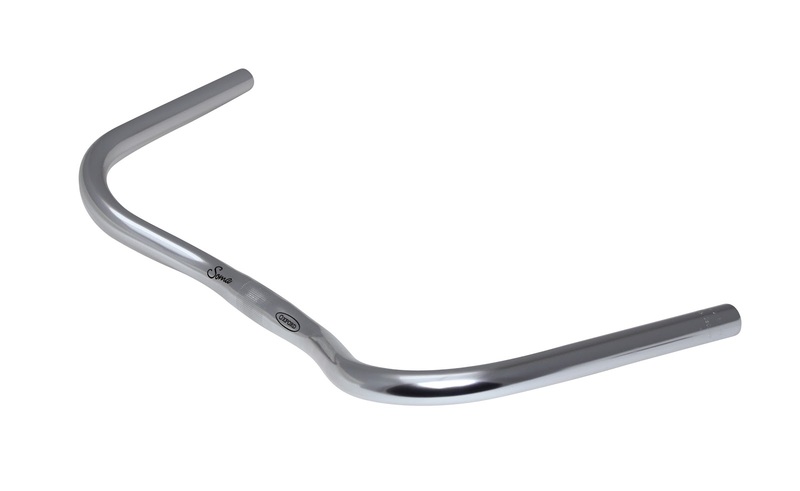 For road bikes you can always use any of these bars with a short pull brake lever, but I prefer the feel of a moustache bar with a road brake lever. They even work well with integrated shifters! 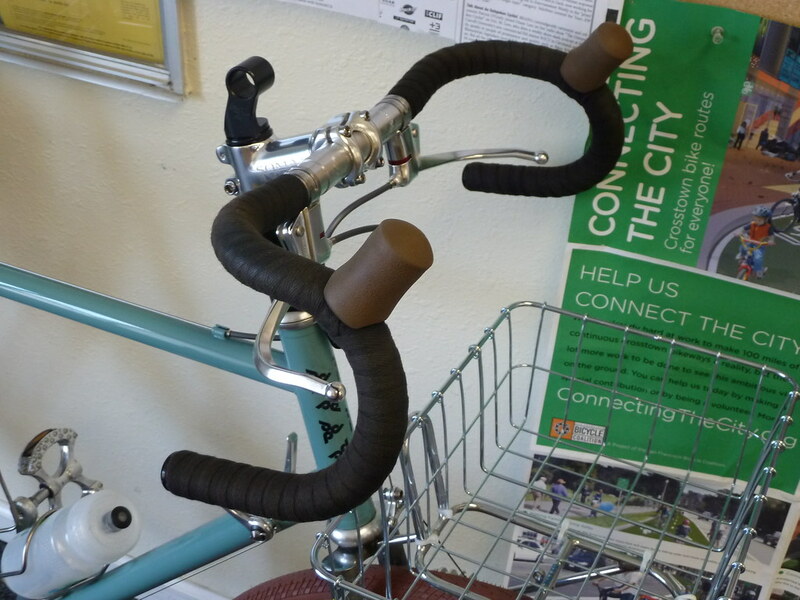 I set these up with the tip of the brake lever in line with the bottom of the "drop" like old school road bars.